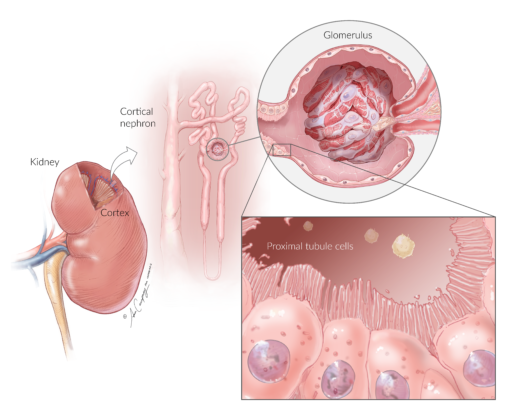 Normal Human Kidney Proximal Tubule Cells- (NhKPT) are obtained from the cortical part of the human kidney and are an integral part of the nephron. 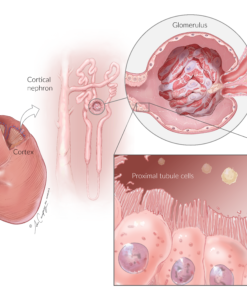 The proximal tubule regulates the pH of the filtrate by exchanging hydrogen ions for bicarbonate ions in the filtrate; it is also responsible for secreting organic acids, such as creatinine and other bases, into the filtrate. 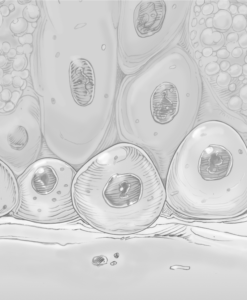 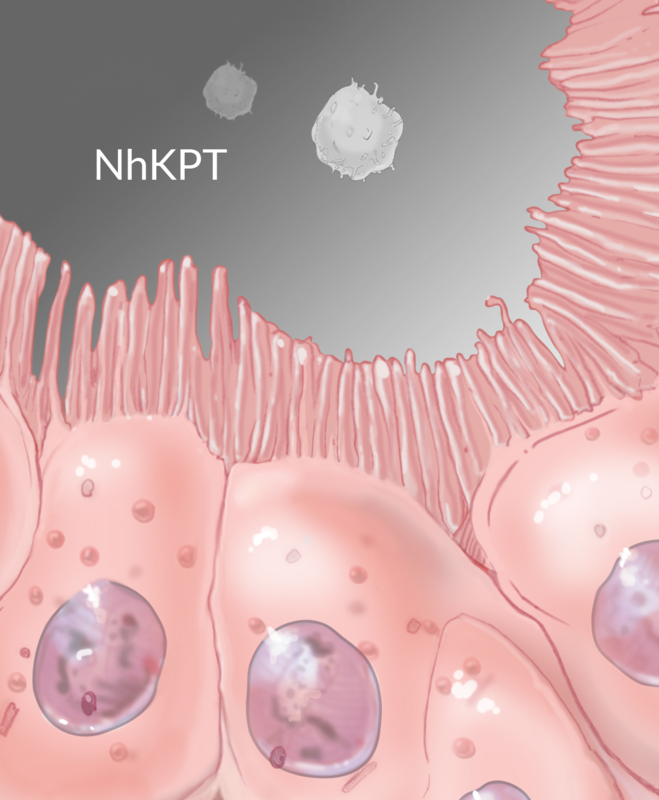 NhKPT cells are isolated from the kidney cortex after removal of the kidney capsule and medulla. 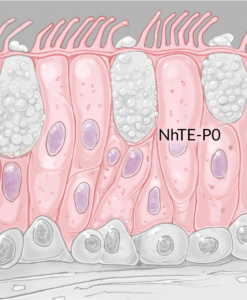 After digestion of the cortex, a pure population of NhKPTs are isolated by positive magnetic selection. 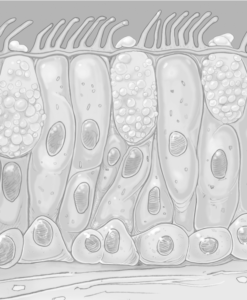 Proximal tubule cells are characterized by yield, viability, and morphology. 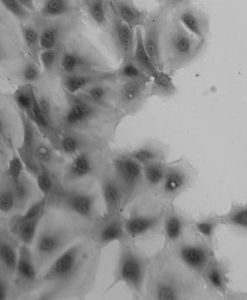 The purity is analyzed by immunostaining for proximal tubule specific markers aquaporin 1, ENT1, Na+K+ATPase and, cytokeratin. 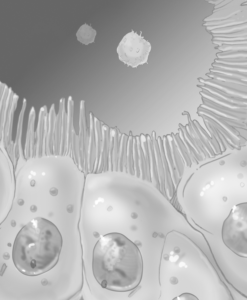 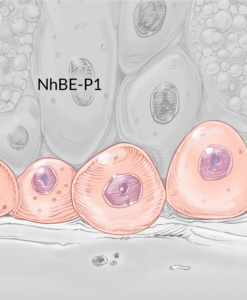 NhKPT cells are terminally differentiated and can be expanded for at least 15 population doublings. 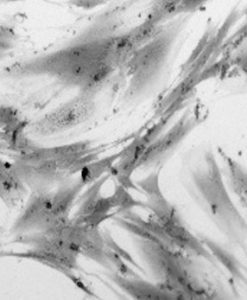 Proximal tubules are further evaluated for γ-glutamyl transferase activity and tight junction formation by staining with ZO1. 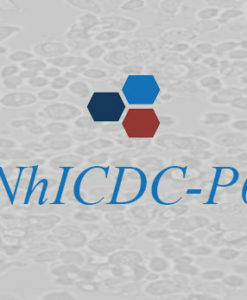 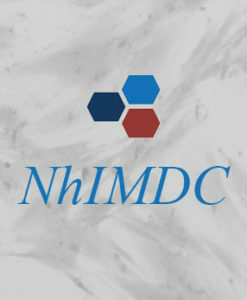 The NhKPT cells are for research use only and not approved for human or animal use, nor for in vitro diagnostic testing. 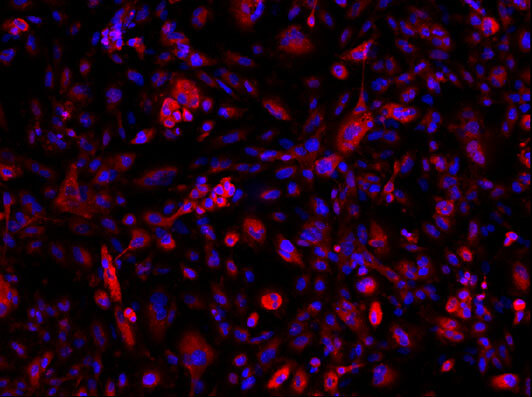 Immunoflouresence and qPCR staining to include: Expression of aquaporin 1 and Na+K+ATPase, in combination with the absence of E-Cadherin and MUC1 (distal tubule markers). Cryopreserved proliferating NhKPT cells are assured to be viable and functional when thawed and maintained properly.